Located in Maharashtra, we are actively functioning as an eminent Tour and Travel Company. 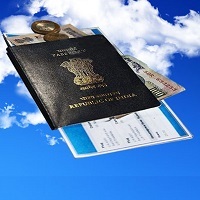 We hold a lot of experience in offering superb Passport & Visa Services all over the world. There is no doubt that it is very difficult to Passport & Visa plus it consumes so much of time but with us you are free from all these worries. We have a team of professionals with us who will pre-inform all of you about the documents required. This is how you can easily and quickly get them without any confusions.